A disqualified driver was caught behind the wheel just minutes after losing his licence at court hearing this week. Police say Michael Bedwell, 62, a chef, of Smith Close, Ninfield, was found behind the wheel of his car on Wednesday (April 11) just moments after being disqualified from driving for a year and ordered to pay fines and costs totalling £437 after admitting to drink driving at Hastings Magistrates Court. Unfortunately for him, he was seen by officers from the East Sussex road policing unit who stopped his Jaguar X-type in Chapel Park Road, St Leonards, and arrested him for driving while disqualified. Following a night in the cells, Bedwell was brought back before the court on Thursday (April 12) charged with the offence and using a vehicle without insurance. This time magistrates immediately jailed him for 16 weeks, as well as more than doubling his original driving ban to 25 months. Bedwell, who was told by justices that his further offences amounted to a "blatant disregard" of their earlier order, also found himself facing a further £200 in costs. 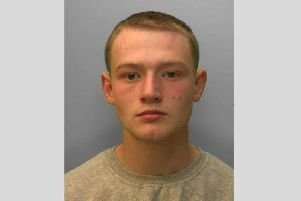 He was first arrested on Thursday, March 22 after officers carried out a stop-check in Ninfield Road, Bexhill. He failed a roadside breath test and was subsequently found to have 49 microgrammes of alcohol in 100 millitres of breath. The legal limit is 35mcgs.